The Tour de Yorkshire starts tomorrow (Friday) and UK readers will be pleased to hear that there’s live coverage and highlights on ITV4. This, combined with widespread enthusiasm on the wrong side of the Pennines borne of last year’s Grand Départ, means that the race seems like a big deal. Is it? Run by Amaury Sports Organisation (ASO) who run the Tour de France, it’s got a lot of clout behind it. However, every new race takes a while to get established. 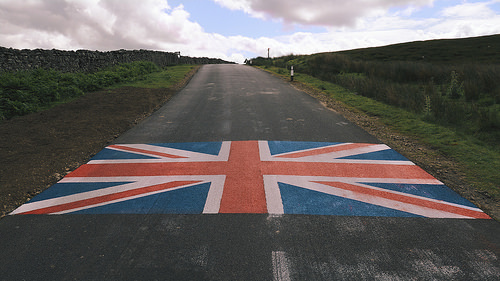 All pro races have a rating and at 2.1, the Tour de Yorkshire’s is initially quite low. Being owned by ASO, it’s likely to go up in future years, but it’s currently on a par with luminaries such as Ster Elektrotoer in the Netherlands and the Tour of Singkarak in Indonesia. That said, it’s also the rating possessed by the Tour of Oman, which often gets a lot more attention than higher ranked races. This reflects the fact that the profile of a race is largely defined by who’s racing. So who is? As a relatively low-ranked race, there’s a strong domestic contingent. There are all sorts of British riders to watch out for, including a number of Great Britain’s track team – riders like Ed Clancy, Jon Dibben and of course Bradley Wiggins. Beyond that, I have to say it’s a bit disappointing. Based on the provisional start list, here are a handful to watch out for. While technically a stage race, the Tour de Yorkshire route is much more akin to a classic and there are few more accomplished classics riders than Greg Van Avermaet. The question is, who will he find to come to second to? Maybe his team-mate, Sammy Sanchez. The Spaniard’s seen better days, but he has nine top ten finishes in Grand Tours to his name and always seems to do well in hilly stage races. Not an especially well-known rider, but prone to getting in the day’s break (the dudes who strike out in a small group ahead of the main peloton, in a forlorn bid to defy logic). I expect Edet to do this at least once, if not all three days, and the Tour de Yorkshire is a race that could actually be won by someone in the right break. Of all the British riders in this race, Steve Cummings is one of the least well-known, but oddly one of the most likely to triumph overall. He was sixth in Tirreno-Adriatico earlier this year, just one second behind Alberto Contador. Not strictly a rider, but a whole team of them. I mention them only because a proportion of you know me from my parallel and hugely lucrative career as a cricket writer and so you’ll know One Pro as the team set up by former England wicketkeeper, Matt Prior. Tommy ‘passing-a-pine-cone-while-simultaneously-panting-like-an-overheated-husky’ Voeckler and his overly expressive face. He’s not done much/anything this year, but he is theoretically one of the stronger riders in this race. I doubt he’ll be allowed in the break, which is where he’s at his best, but he might be an overall contender if he’s found some form from somewhere. Or he might just deliberately lose a load of time so that they’ll allow him in the break on stage two or three. Who knows. If it was a 2014 race in Britain or Ireland then generally speaking it was Marcel Kittel who won. He took three of the four British stages in the Tour de France, both Giro d’Italia road stages which took place in Ireland and then two stages of the Tour of Britain for good measure. Set against this is the fact that stage three of the Tour de Yorkshire is more akin to the one Tour de France stage he didn’t win, while stage one is hilly-on-the-sly. By pro cycling standards, Kittel climbs – let’s be blunt about this – badly. If he’s in the bunch near the finish, he’ll probably win, but he may well not be. Swift is from Yorkshire and he is a very British sort of rider. He climbs short, sharp hills very well and he also has a strong finish. I fully expect him to win at least one stage and possibly even the overall. Another underrated Brit. He doesn’t really have any big results, but he’s looked a strong rider supporting others in the classics. Don’t think he’s in form though, that’s the only thing. As I said above, stage one is deceptively hilly. There’s a general belief that it’s a ‘flat’ stage, but I’ve ridden these roads and trust me, they ain’t flat. I don’t see Kittel making it to the finish, so in the absence of any actual money, I’m putting my Monopoly money on Ben Swift. Stage two, however, is fairly flat. There are a couple of tough climbs, but they come quite some way from the finish, giving teams (Giant-Alpecin) plenty of time to pace their sprinters (Marcel Kittel) back to the bunch to contest (win) the sprint. Stage three is hilly. While it’s flattish towards the finish, there’s plenty before that. I’m tipping Greg Van Avermaet, but he might have to outsprint a few people to win. If Ben Swift’s one of them, I’d back him instead.